Alexander McCall Smith says that, ‘Angela Thirkell is perhaps the most Pym-like of any twentieth century author, after Pym herself.’ As a great admirer of Barbara Pym’s work I thought I would therefore love Angela Thirkell and sat down to read Summer Half with some excitement. I agree that there is something Pym-like about Thirkell’s writing, but it is slighter. Although Pym writes about apparently trivial encounters, misunderstandings, romances and so on in parochial society, there is always a sense of a backdrop of something deeper, a profound understanding of humanity – though very lightly worn. Like Pym, Thirkell writes on a small palette, her focus the relationships, attractions, petty snobberies and misunderstandings between men and women, but I don’t detect quite such depth. So that while yes, there is something Pym-like, I also detect the odd dash of Enid Blyton. I don’t mean to be unfair here, but on occasion there are some oddly simplistic, even childish passages: ‘They ran for the trees where Kate knew a good log they could sit on.’ There’s a picnic on Parsley Island, and some very Blytonesque descriptions of food: ‘The tea in Colin’s room looked perfectly delightful. There were mustard and cress sandwiches, cucumber sandwiches, jam sandwiches … cakes with pink icing, a chocolate cake, a coffee came and two plates of biscuits…’ All that is missing is the lashings of ginger beer. The story centres round Colin Keith, a young man who fills in as a master at a public school for one term, his family, the boys and other masters at the school. The central romantic thread, oddly, is not concerned with Colin, with whom the book starts, but the love lives of two other masters as they spend a summer of sports days, parties, picnics, punting and flirting. 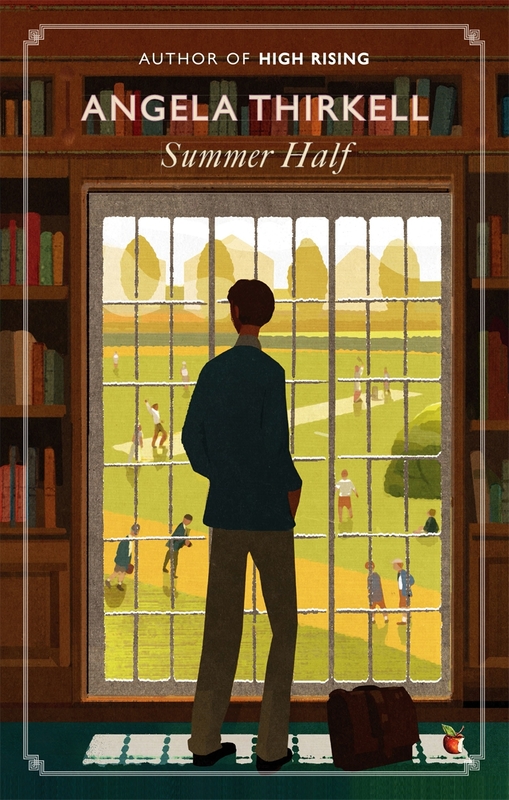 Having made these observations, some of which stem from a disappointed expectation of discovering another Barbara Pym, I should add that ultimately I enjoyed the book and it grew on me increasingly as I read it. It’s a comical romp, a comedy of manners and romance and middle-class mores, with a very satisfying ending. And I’m ready to try another – Virago Modern Classics has reissued a series of Thirkell’s novels all in beautiful, evocative thirties inspired jackets.